Federal agents raided two metro Detroit restaurants and four homes on Wednesday afternoon. 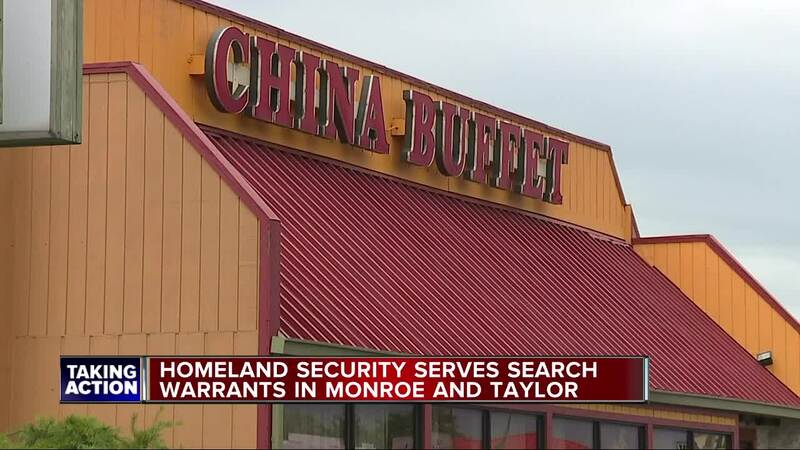 Agents conducted the raids at Super China Buffet on Telegraph Rd. around 12 p.m. in Monroe and another on Telegraph Rd. in Taylor. Agents also raided four homes during the investigation, three of which were in Monroe and another in Taylor. Photos from Monroe County reporters-Ryan Mink and Shane Neckels' Facebook page showed agents outside the restaurant. In a statement, a spokesperson said Homeland Security Investigations raided the homes while serving search warrants as part of an ongoing criminal probe. "The search warrants are under seal in federal court," according to the feds, so they can't comment further.